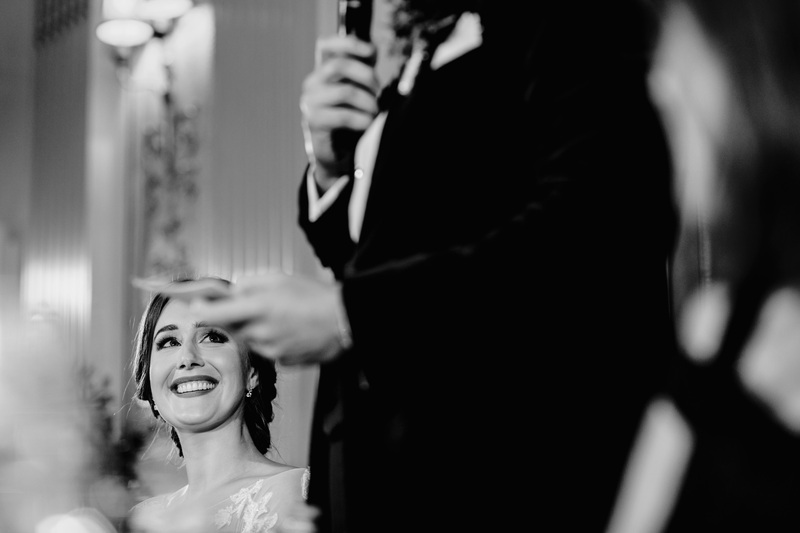 I love shooting Plaisterers Hall wedding photography. 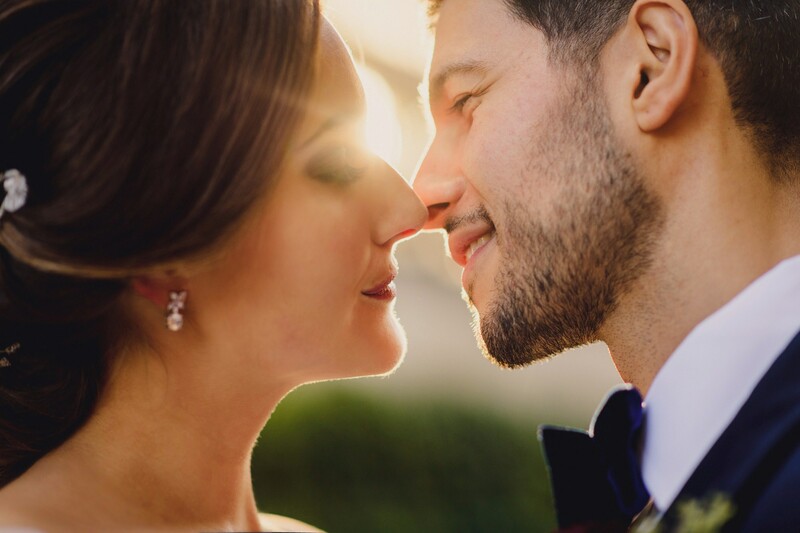 Lisa and Greg chose the perfect venue for their autumn wedding. 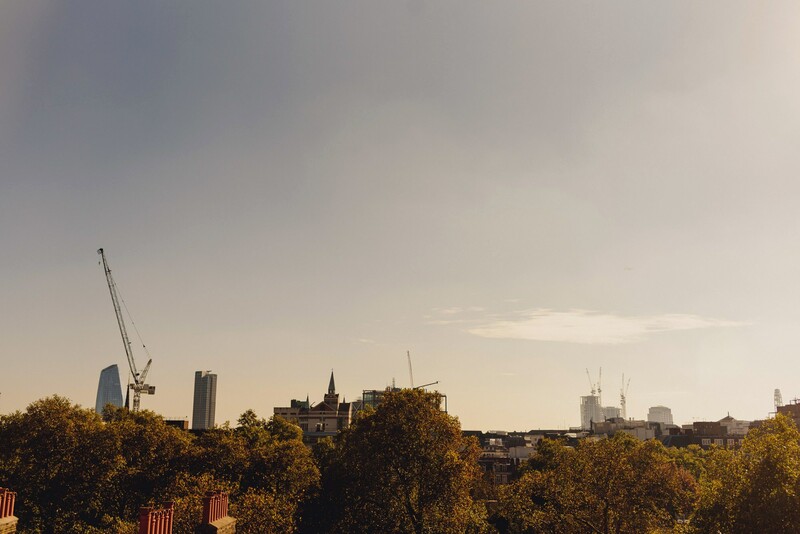 As award-winning London Wedding photographers we get to work at some awe-inspiring wedding venues in London. 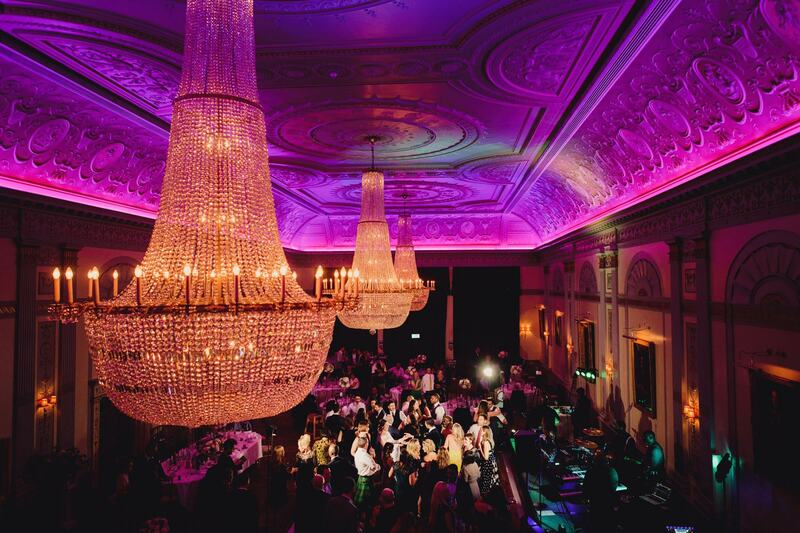 Plaisterers Hall is one of those venues! 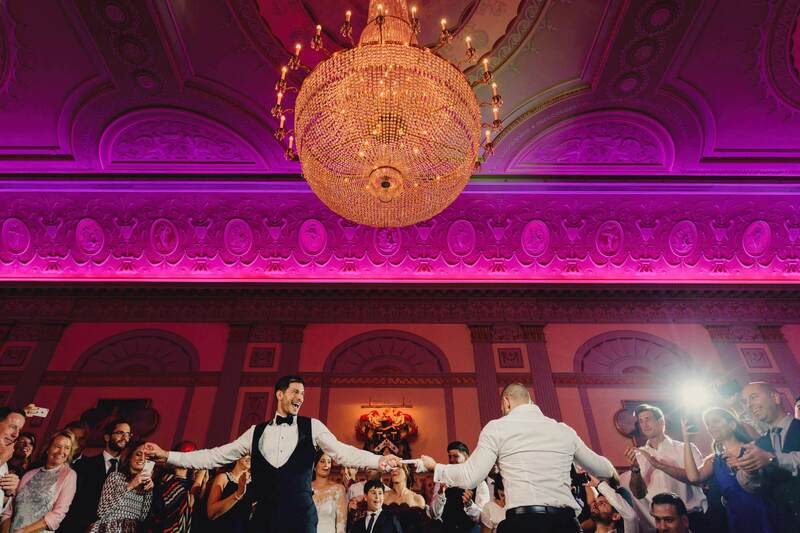 The largest and certainly one of the finest Livery halls in London Plaisterers Hall, with its killer location between the city and the west end, is a stunning neoclassical design that offers so much versatility for weddings. 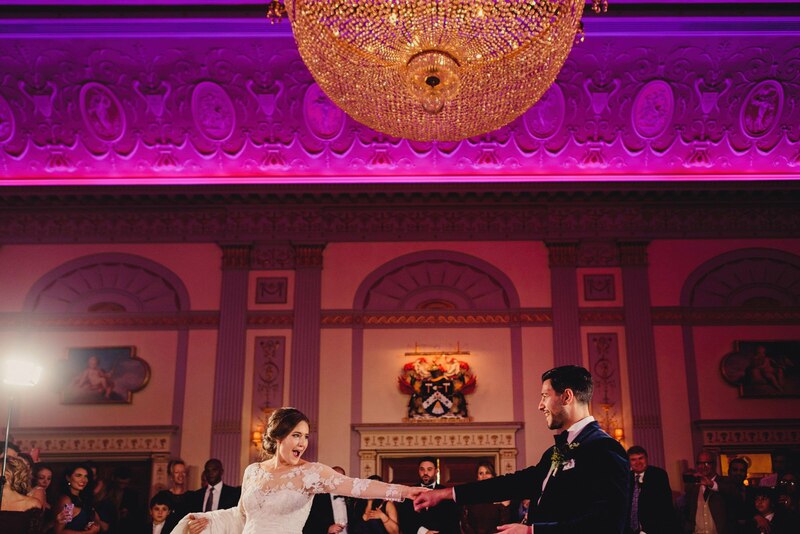 Lisa and Greg said they were looking for a venue with dramatic interiors in central London so Plaisterers Hall was perfect. The perfect choice for an October wedding. 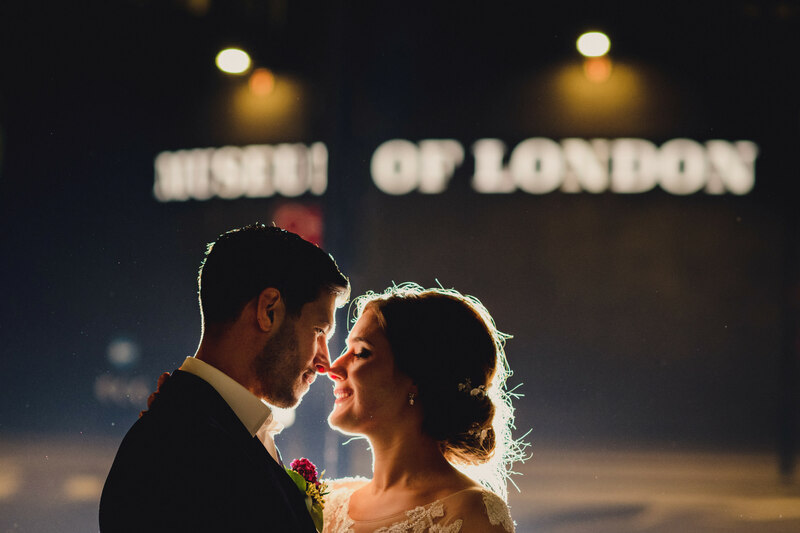 London wedding photographers love this place. 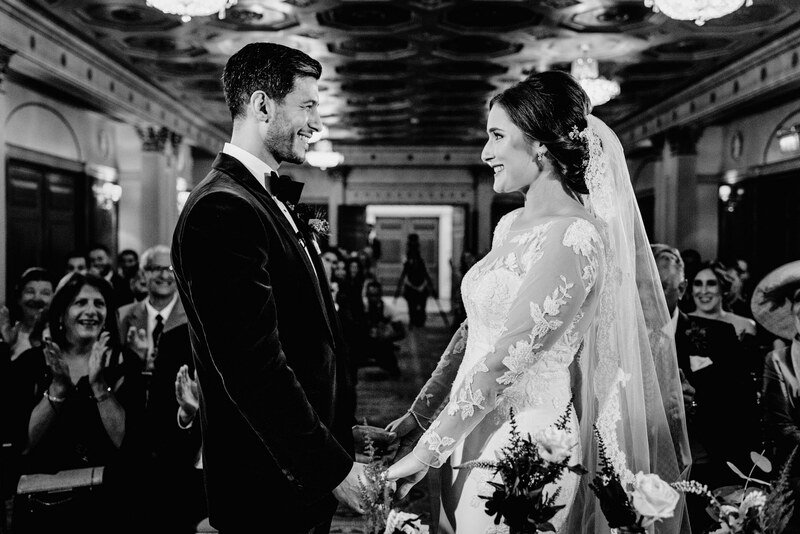 Lisa looked amazing in her Drakar dress that was beautifully fitted with lace detail and a cathedral veil. 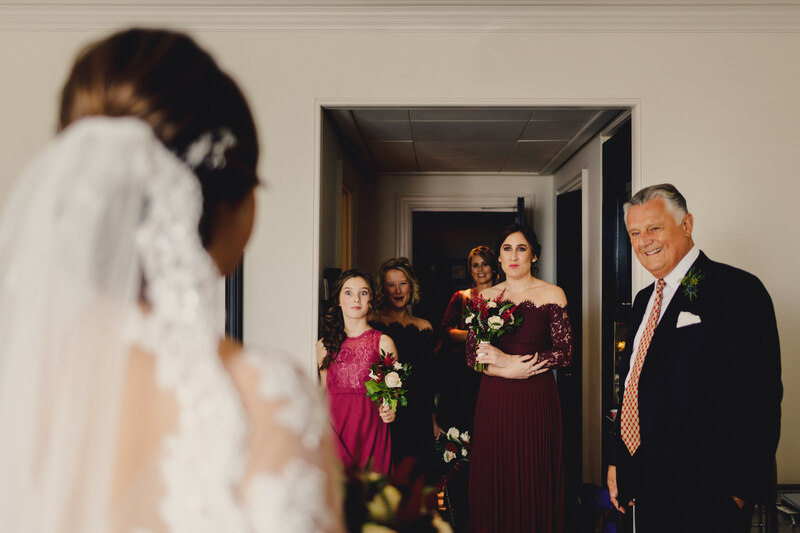 The combination of traditional fabrics and a modern cut gave her a gorgeous look of understated glamour, it was old school Hollywood, which we know Lisa loved. 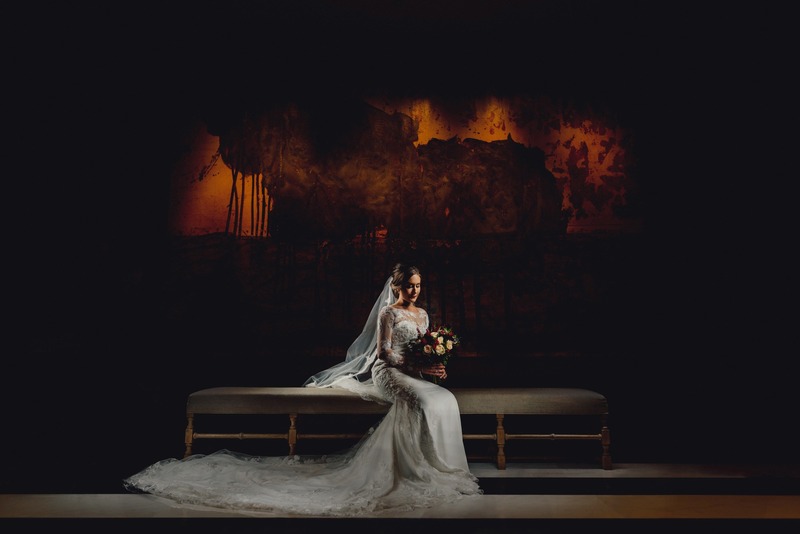 Take a look of our shot of Lisa sitting on the bench to see just how stunning Lisa and her dress were on the day! 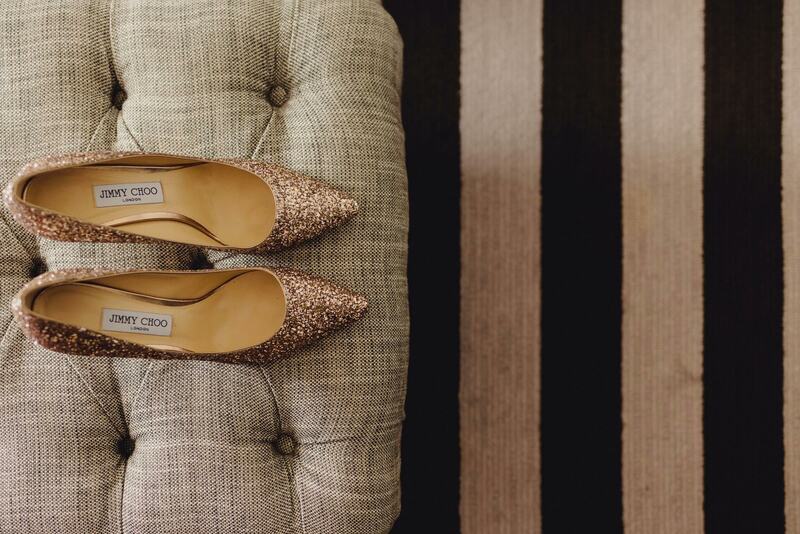 Now bridal shoes don’t always get a mention but when they’re a pair of killer gold sparkly Jimmy Choo’s they do – and they even get their own shot! 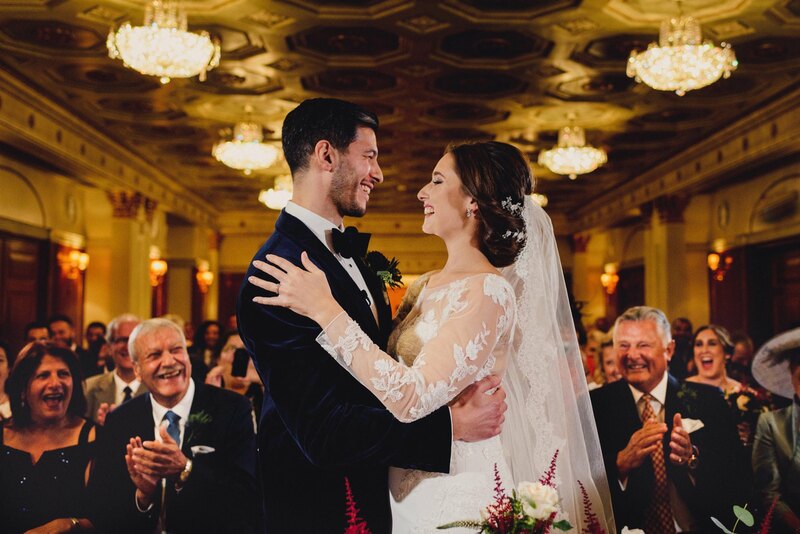 Greg looked fantastic in a navy velvet tuxedo jacket from Dunhill. 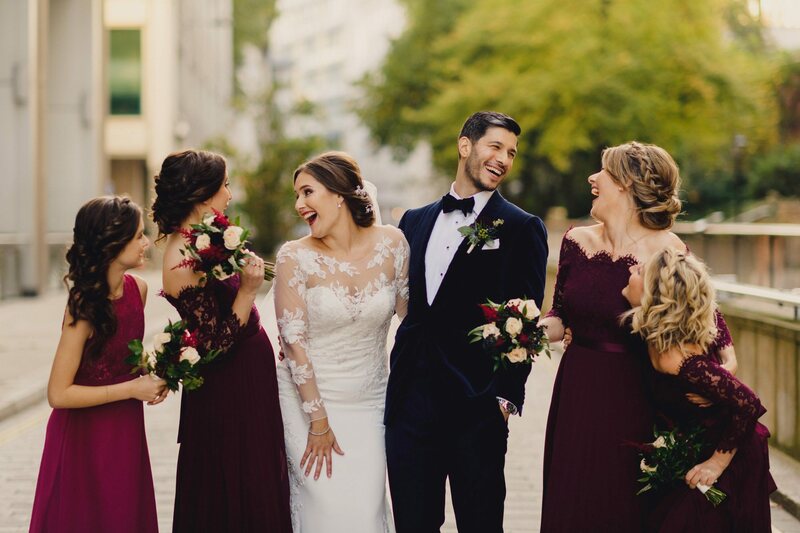 Bridesmaids were in burgundy. 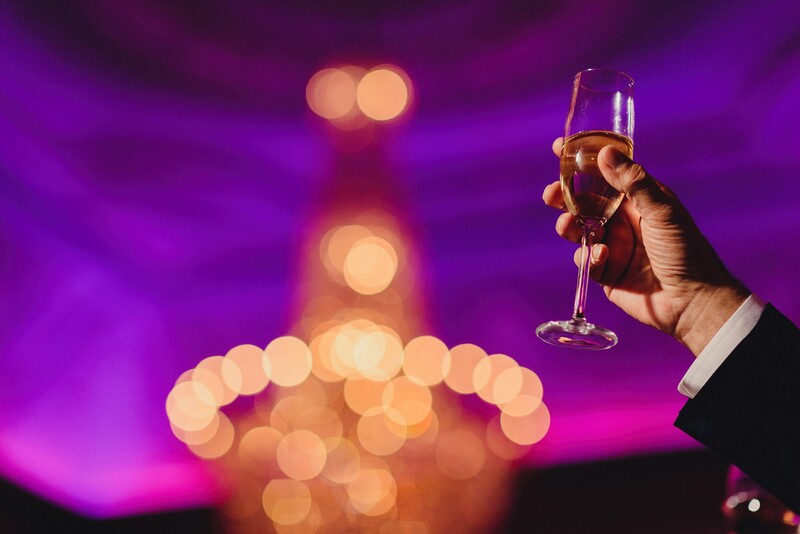 The colour scheme of burgundy and navy was perfect for an October wedding and for Plaisterers Hall. It all looked so effortlessly stylish. 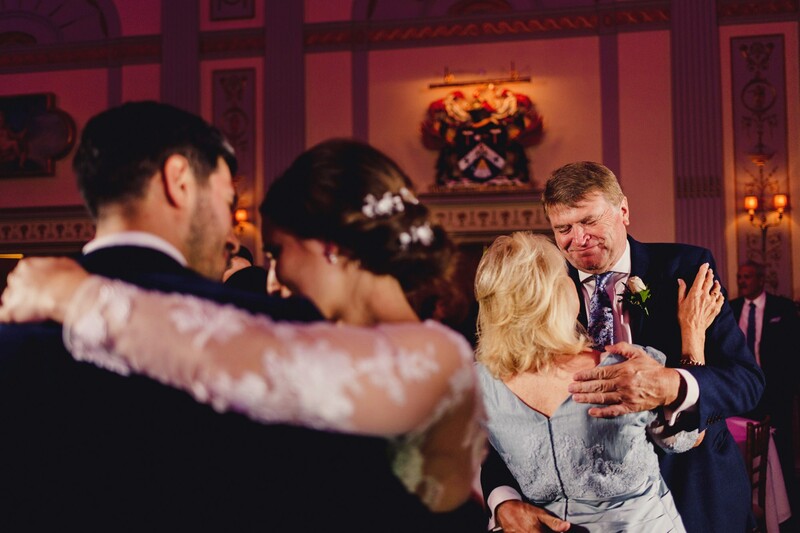 The ceremony was held in Plaisterers Halls Livery Hall, a grand room perfect for wedding ceremonies. After which there was a drinks reception and then everybody filed into the Great Hall for the wedding reception. 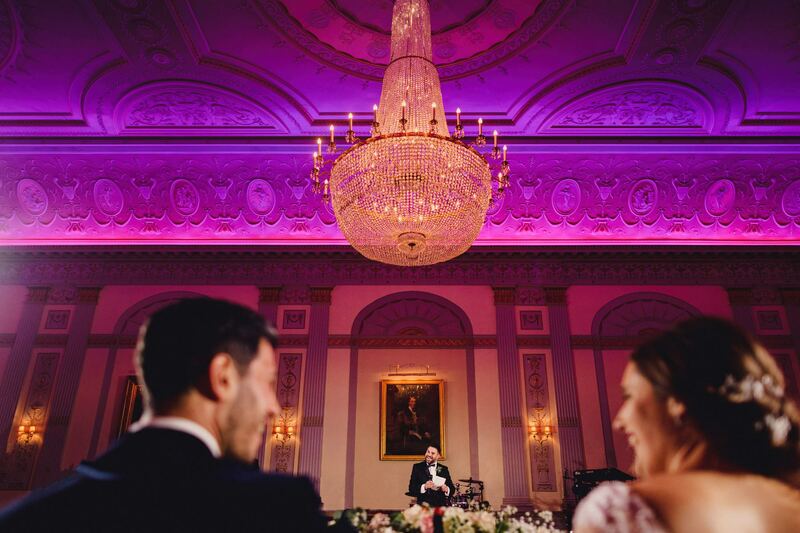 The gorgeous chandeliers and decorative ceilings gave the wedding such an opulent and luxurious feel which we know is exactly what Lisa and Greg wanted. 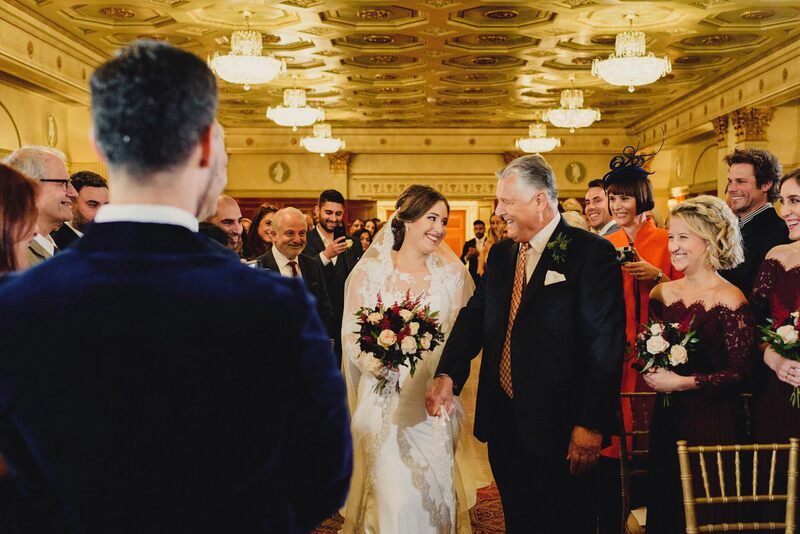 Greg is Greek Cypriot so the wedding day was a mix of English and Greek traditions. There was a fun game at the start of the meal where guests could win the table centrepieces. There was also lots of Greek dancing, slapping money on the men’s foreheads and a high point for everybody (including me) was Lisa’s brother’s rendition of the Notorious BIG song ‘juicy’! 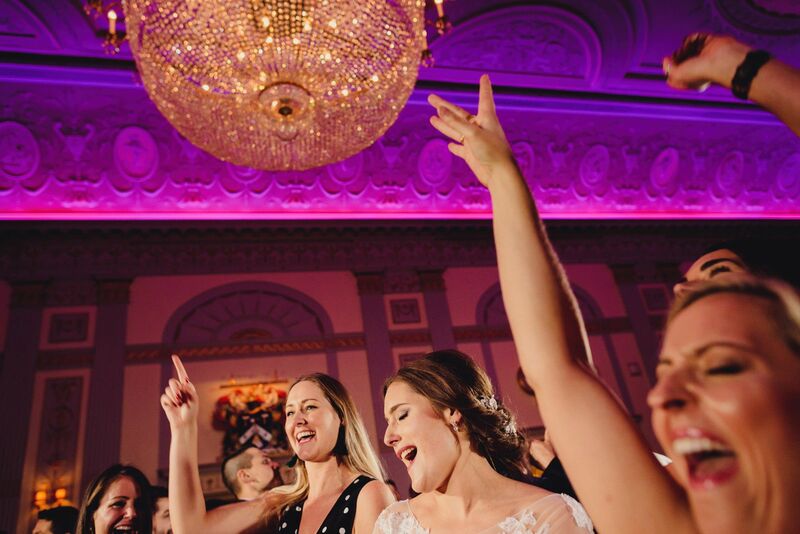 The evening entertainment was provided by Tru Groove band whose fantastic covers of funk, soul and pop classics saw that Lisa, Greg and their guests were quickly up on their feet and dancing, where many of them stayed for the duration. There was some serious shape cutting going down! 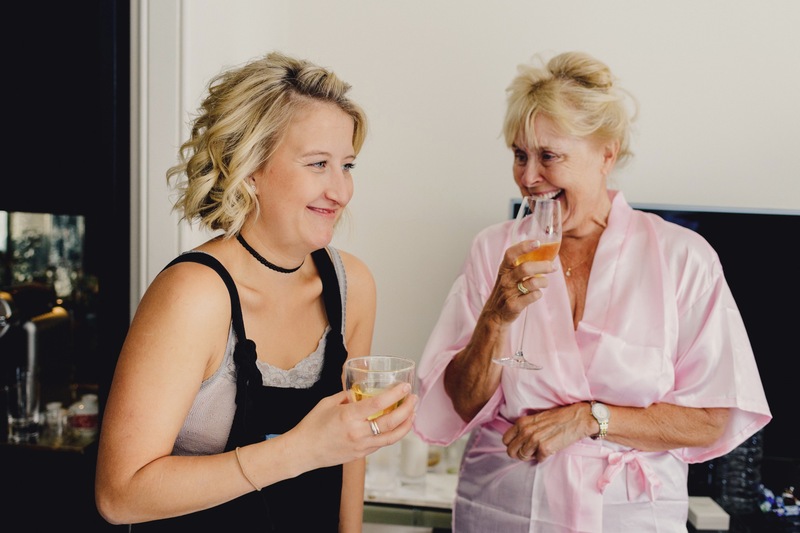 Lisa and Greg chose an October wedding because they said nothing happens in October and they wanted to give their family and friends something to look forward to. That tells you something of how lovely this pair are. 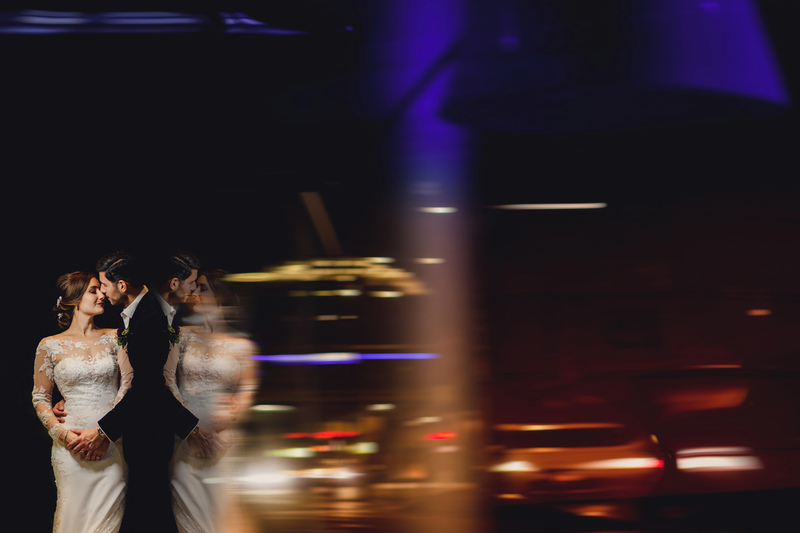 Well, it worked, everybody loved this fantastic stylish wedding full of love and laughter (including me) Congratulations guys and thanks for having me there. I’ll leave the last word to them. This is what they had to say about working with me. amazing moments and love the processing Ash! Amazing work as always. The bridal shot is simply beautiful. Thank you so much Dean. That is one of my highlights from the wedding. Great use of light and I love that money shot! Ha. Thanks dude. Appreciate your comment. 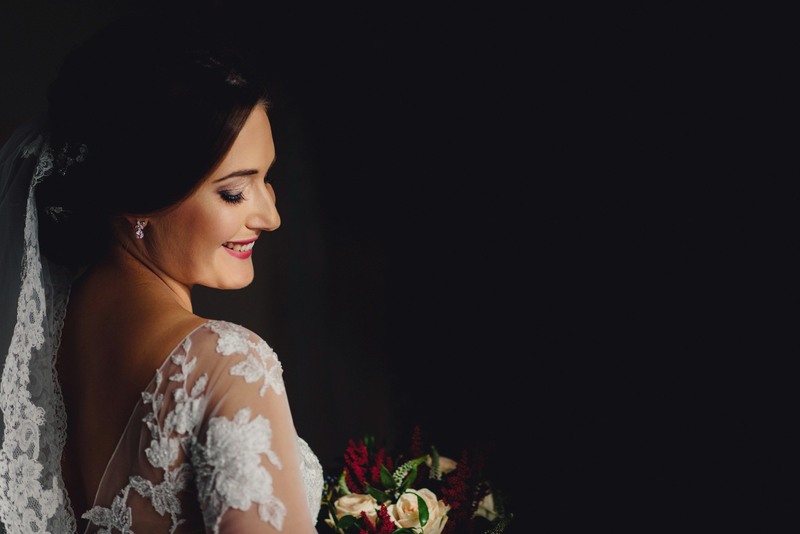 Stunning work as usual, love the bride portrait at the start. Thanks dude. Yeh, definitely one of my favourites from the day. 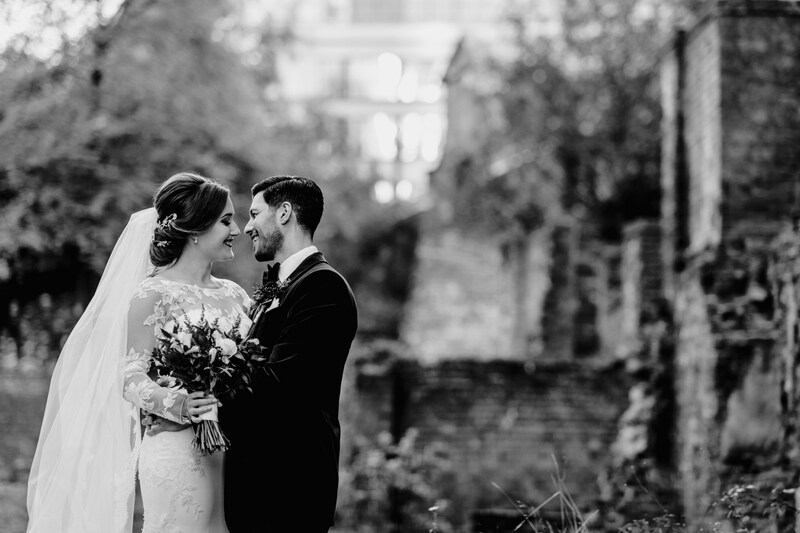 Great selection of beautiful images Ash, and what a venue! Wow lots of great moments captured. 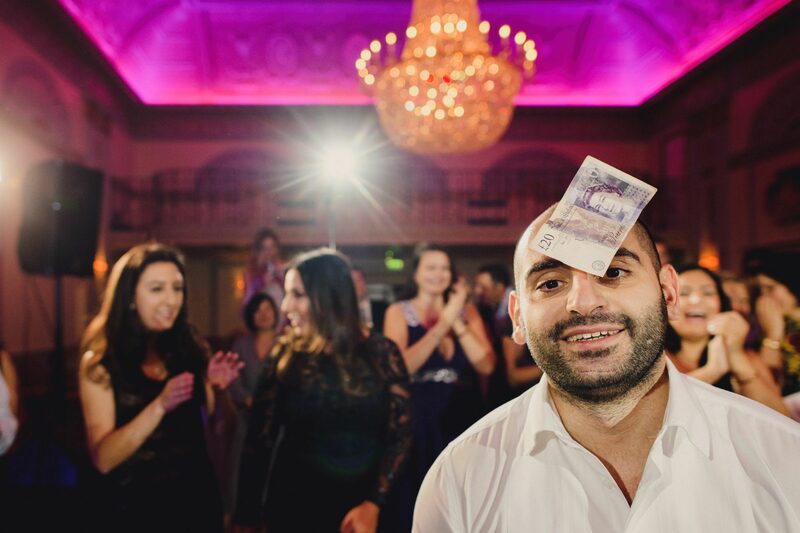 The guy with £20 note is the winner! Gorgeous work, you seem to have captured each moment beautifully.